HALIFAX -- Environment Canada is warning people in parts of the Maritimes that heavy snowfall could create some dangerous driving conditions on Sunday. The national weather forecaster says a trough of low pressure will slide south of Nova Scotia on Sunday. They say heavy snowfall will begin in mainland Nova Scotia and southern New Brunswick on Sunday morning and will continue into the evening. 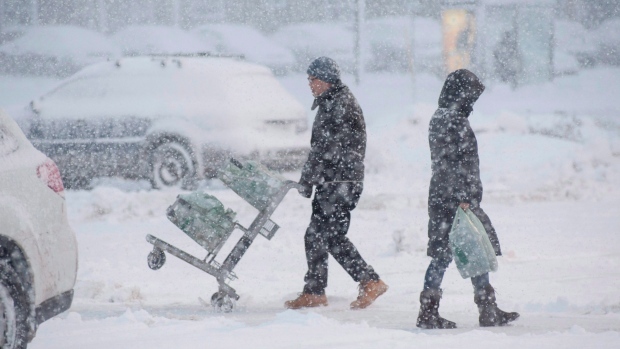 Up to 15 centimetres is expected, with the snow becoming mixed with ice pellets at times.